This is a nice elegant dessert which is not too sweet or stogy and goes well if the preceding courses have been particularly... shall we say hearty! It works well after most dishes and is a lovely way to finish a meal, the ginger, like mint stimulating the digestive juices and refreshing the pallet. 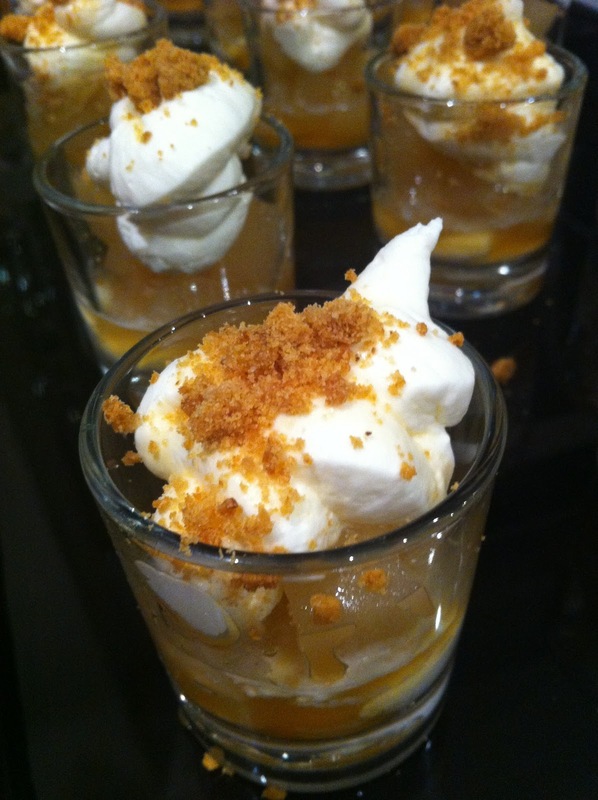 IF offer a shot glass version of the poached pear dessert at part of the party menu. This is a mini version served in shot glasses and has proved to be an extremely popular dish to finish off drinks and canape parties! Make syrup by heating water in a saucepan and dissolving the sugar. Slice the fresh ginger and add to the syrup. Peel and cut the ends off the pears so they stand upright, cover and simmer for a few minutes. Test with a small kitchen knife, the fruit should be al dente. Allow to cool and leave the fruit in the syrup for several hours if possible. Drain the syrup and return to heat to reduce until thick enough to serve with the pears. Chop the stem ginger into small cubes and add to the syrup. 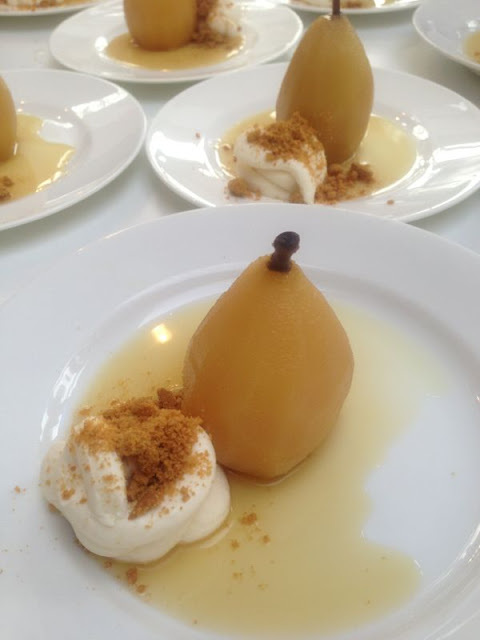 Serve the pears with a table spoon of Mascarpone and crushed ginger snaps biscuits.